Carbs and bananas — what more can you ask for? Banana bread is a great way to spice up your breakfast in the morning and a fantastic snack to munch on throughout the day. National Banana Bread Day is right around the corner, and the Clog wants to appreciate banana bread for all its glory. 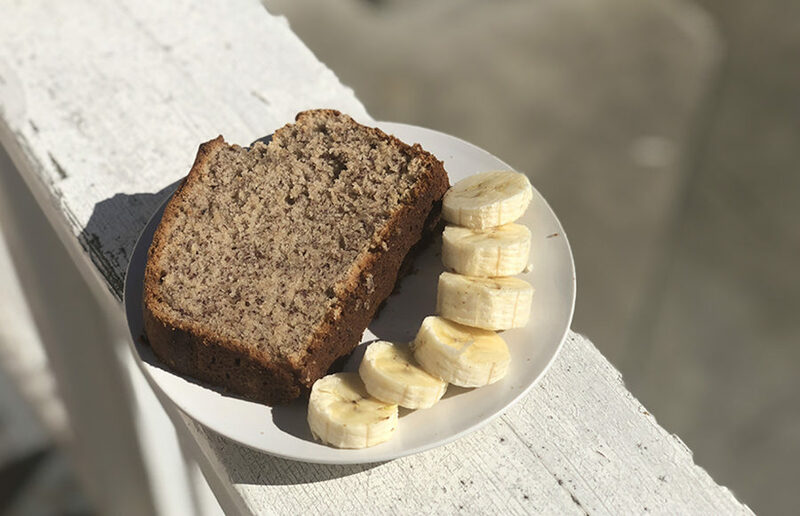 This National Banana Bread Day (or any other day, for that matter), enjoy this tasty banana bread recipe that will leave you wanting more after each bite! Preheat the oven to 325 degrees Fahrenheit and butter the loaf pan. Mix the sugar and butter in a large bowl until the mixture is fluffy. Beat the eggs one at a time into the mixture, making sure everything is combined well. In another bowl, use a fork to mash the ripe bananas (the riper the better!) and stir in the milk and cinnamon. Add the flour, baking powder, baking soda, salt and the banana mixture into the large bowl with the sugar, butter and egg. If you want to spice things up, we recommend adding walnuts and/or chocolate chips. Mix until all the flour is gone and everything is blended well. Pour the batter into the prepared loaf pan. Bake for about 60 to 70 minutes or until a toothpick comes out clean when you insert it into the baked loaf. Let the bread cool for about 10 to 15 minutes before serving. And you’re done! The walnuts and chocolate chips are a great addition, and we highly recommend it. You will most likely be unable to finish the loaf in one sitting, so you can toast your banana bread in the toaster or oven the next day and it’ll still taste as delicious. (Sometimes it’s even better).